On the 3-day Codemanship TDD workshop, we discuss the testing pyramid and why optimising your test suites for fast execution is critical to achieving continuous delivery. The goal with the pyramid is to be able to test as much of our software as possible as quickly as possible, so we can re-test and reassure ourselves that our code is shippable very frequently (i.e., continuously). If our tests take hours to run, then we can only run them every few hours. Those are hours during which we don't know if the software's shippable. The purpose of our automated tests is to detect when code is broken. Every time we change a line of code, it can break the software. Therefore we need a test to catch every potential broken LOC. 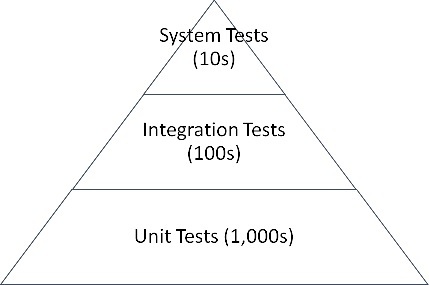 The key to a good testing pyramid is to minimise the tests that have external dependencies, and the key to that is minimising the amount of code that has external dependencies. To test any part of this logic, we must include a trip to the database. If we break it up into 3 methods, each with a distinct responsibility, then it becomes possible to test 1. and 3. without including 2. That's a third as many "integration" tests. In a similar vein, imagine we have data access objects, each like our module above. 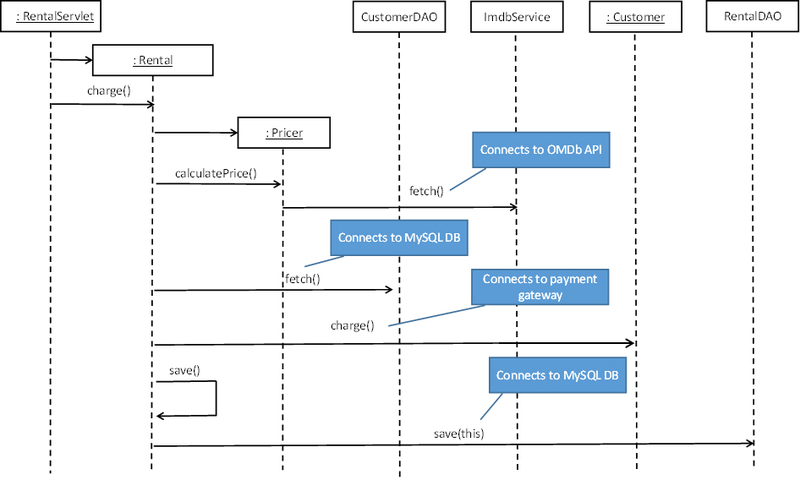 Each can format a SQL string using an object's data - e.g., CustomerDAO, InvoiceDAO, OrderDAO. Each connects to the database for fetch and save that object type's data. Each knows how to unpack the database response into the corresponding object type. There's repetition in this design: connecting to the database. If we consolidate that code into a single module, we again reduce the number of integration tests we need. When we examine the code, we see that the methods that have direct external dependencies are not swappable within the overall call stack. We cannot test pricing a video rental without paying a visit to the external video ratins service. We cannot test rentals without trips to the database, either. To exclude these external dependencies from a set of tests for Rental, we have to turn those dependencies upside-down (make them swappable by dependency injection, basically).